Many are the civil servants who shoulder the onerous responsibility of protecting and serving us New Yorkers. I have issues with most of them, but there is one institution I have the utmost respect for: New York’s Bravest. Not only do these men and women risk life and limb in situations beyond my comprehension, they also have a wonderful sense of humor. and have mad Scrabble skills to boot! I wonder if the windows qualify as double word scores? Too awesome. 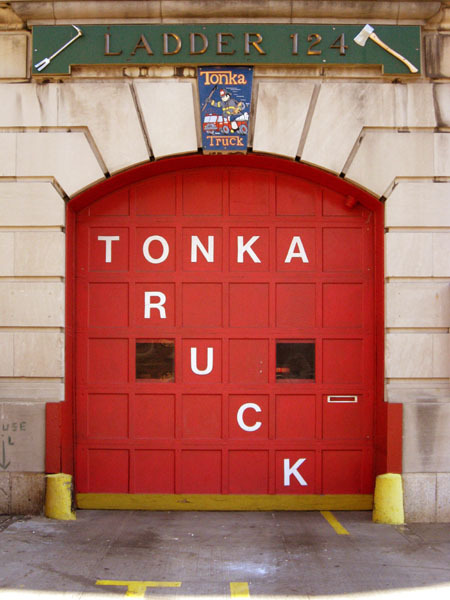 Scrabble-playing firefighters. Only in NYC. I always get in trouble when I try to play Scrabble words diagonally. Good for them. 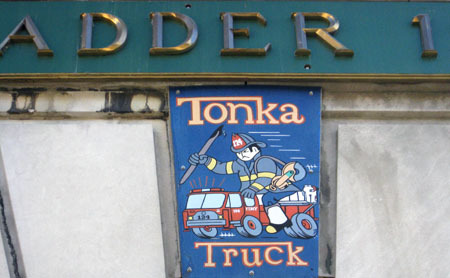 For a look at other FDNY fire company logos, check out this link. I’ve set it to the Brooklyn display, but you can see all five boroughs on the home page.